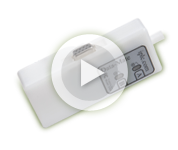 This video demonstrates the ease of mounting the IP3 Series Pedestal with its patented universal mounting system. The patented mounting system allows the installer to use laser aligning tools to position the pedestal exactly in line with all other pedestals. This process is easily completed in under two minutes.